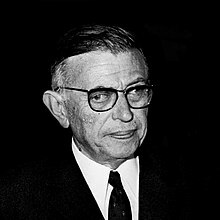 Jean-Paul Charles Aymard Sartre ( /ˈsɑːrtrə/ , US also /ˈsɑːrt/ ;  French: [saʁtʁ] ; 21 June 1905 – 15 April 1980) was a French philosopher, playwright, novelist, political activist, biographer, and literary critic. He was one of the key figures in the philosophy of existentialism and phenomenology, and one of the leading figures in 20th-century French philosophy and Marxism. His work has also influenced sociology, critical theory, post-colonial theory, and literary studies, and continues to influence these disciplines. Phenomenology is the philosophical study of the structures of experience and consciousness. As a philosophical movement it was founded in the early years of the 20th century by Edmund Husserl and was later expanded upon by a circle of his followers at the universities of Göttingen and Munich in Germany. It then spread to France, the United States, and elsewhere, often in contexts far removed from Husserl's early work. Sartre was also noted for his open relationship with prominent feminist and fellow existentialist philosopher and writer Simone de Beauvoir. 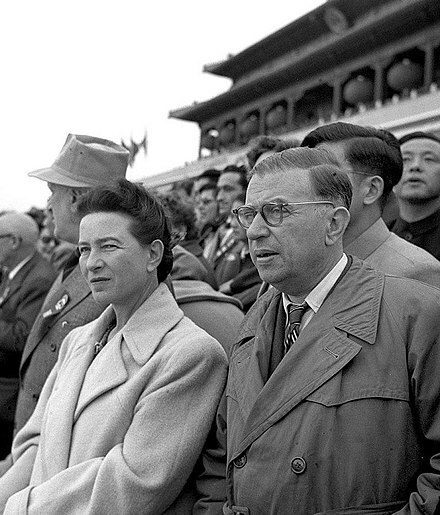 Together, Sartre and de Beauvoir challenged the cultural and social assumptions and expectations of their upbringings, which they considered bourgeois, in both lifestyle and thought. The conflict between oppressive, spiritually destructive conformity (mauvaise foi, literally, "bad faith") and an "authentic" way of "being" became the dominant theme of Sartre's early work, a theme embodied in his principal philosophical work Being and Nothingness (L'Être et le Néant, 1943). Sartre's introduction to his philosophy is his work Existentialism Is a Humanism (L'existentialisme est un humanisme, 1946), originally presented as a lecture. An open relationship, also known as non-exclusive relationship, is an intimate relationship which is consensually non-monogamous. This term may sometimes refer to polyamory, but it is often used to signify a primary emotional and intimate relationship between two partners who agree to have sexual relationships with other people. The nature of the openness in the relationship, including what outside sexual contact is permissible, varies widely. Open relationships include any type of romantic relationship that is open. The concept of an open relationship has been recognized since the 1970s. Georges Canguilhem was a French philosopher and physician who specialized in epistemology and the philosophy of science. Gustave Lanson was a French historian and literary critic. He taught at the Sorbonne in Paris. A media prank is a type of media event, perpetrated by staged speeches, activities, or press releases, designed to trick legitimate journalists into publishing erroneous or misleading articles. The term may also refer to such stories if planted by fake journalists, as well as the false story thereby published. A media prank is a form of culture jamming generally done as performance art or a practical joke for purposes of a humorous critique of mass media. From 1931 until 1945, Sartre taught at various lycées of Le Havre (at the Lycée de Le Havre, the present-day Lycée François-Ier (Le Havre) [ fr ], 1931–36), Laon (at the Lycée de Laon, 1936–37), and, finally, Paris (at the Lycée Pasteur, 1937–39, and at the Lycée Condorcet, 1941–44;  see below). In 1939 Sartre was drafted into the French army, where he served as a meteorologist. He was captured by German troops in 1940 in Padoux,  and he spent nine months as a prisoner of war—in Nancy and finally in Stalag XII-D [ fr ], Trier, where he wrote his first theatrical piece, Barionà, fils du tonnerre, a drama concerning Christmas. It was during this period of confinement that Sartre read Martin Heidegger's Being and Time , later to become a major influence on his own essay on phenomenological ontology. Because of poor health (he claimed that his poor eyesight and exotropia affected his balance) Sartre was released in April 1941. According to other sources, he escaped after a medical visit to the ophthalmologist. Given civilian status, he recovered his teaching position at Lycée Pasteur near Paris and settled at the Hotel Mistral. In October 1941 he was given a position, previously held by a Jewish teacher who had been forbidden to teach by Vichy law, at Lycée Condorcet in Paris. After coming back to Paris in May 1941, he participated in the founding of the underground group Socialisme et Liberté ("Socialism and Liberty") with other writers Simone de Beauvoir, Maurice Merleau-Ponty, Jean-Toussaint Desanti, Dominique Desanti, Jean Kanapa, and École Normale students. In spring of 1941, Sartre suggested with "cheerful ferocity" at a meeting that the Socialisme et Liberté assassinate prominent war collaborators like Marcel Déat, but de Beauvoir noted his idea was rejected as "none of us felt qualified to make bombs or hurl grenades". The British historian Ian Ousby observed that the French always had far more hatred for collaborators than they did for the Germans, noting it was French people like Déat that Sartre wanted to assassinate rather than the military governor of France, General Otto von Stülpnagel, and the popular slogan always was "Death to Laval!" rather than "Death to Hitler!". 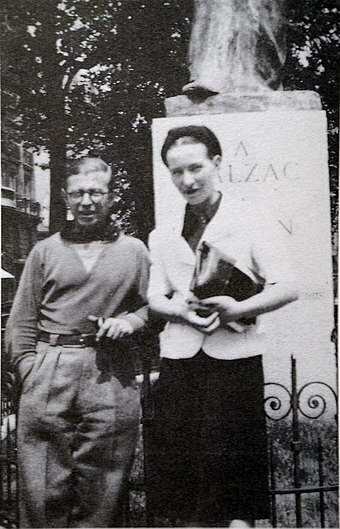 In August Sartre and de Beauvoir went to the French Riviera seeking the support of André Gide and André Malraux. 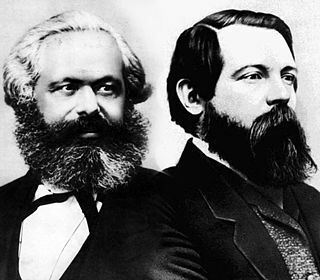 However, both Gide and Malraux were undecided, and this may have been the cause of Sartre's disappointment and discouragement. Socialisme et liberté soon dissolved and Sartre decided to write instead of being involved in active resistance. He then wrote Being and Nothingness , The Flies , and No Exit , none of which were censored by the Germans, and also contributed to both legal and illegal literary magazines. After August 1944 and the Liberation of Paris, he wrote Anti-Semite and Jew . In the book he tries to explain the etiology of "hate" by analyzing antisemitic hate. 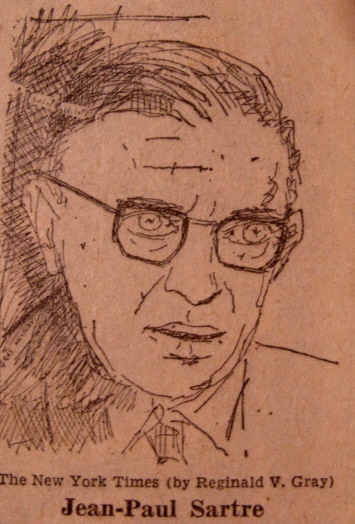 Sartre was a very active contributor to Combat , a newspaper created during the clandestine period by Albert Camus, a philosopher and author who held similar beliefs. Sartre and de Beauvoir remained friends with Camus until 1951, with the publication of Camus's The Rebel . Later, while Sartre was labeled by some authors as a resistant, the French philosopher and resistant Vladimir Jankelevitch criticized Sartre's lack of political commitment during the German occupation, and interpreted his further struggles for liberty as an attempt to redeem himself. According to Camus, Sartre was a writer who resisted; not a resister who wrote. In 1945, after the war ended, Sartre moved to an apartment on the rue Bonaparte which was where he was to produce most of his subsequent work, and where he lived until 1962. 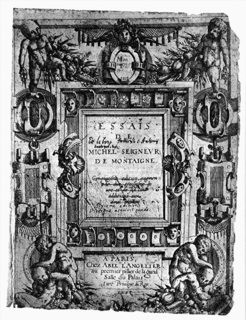 It was from there that he helped establish a quarterly literary and political review, Les Temps modernes (Modern Times), in part to popularize his thought. He ceased teaching and devoted his time to writing and political activism. He would draw on his war experiences for his great trilogy of novels, Les Chemins de la Liberté ( The Roads to Freedom ) (1945–1949). 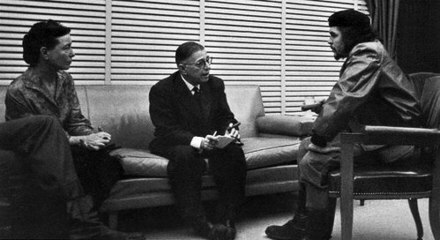 As an anti-colonialist, Sartre took a prominent role in the struggle against French rule in Algeria, and the use of torture and concentration camps by the French in Algeria. He became an eminent supporter of the FLN in the Algerian War and was one of the signatories of the Manifeste des 121 . Consequently, Sartre became a domestic target of the paramilitary Organisation armée secrète (OAS), escaping two bomb attacks in the early '60s. (He had an Algerian mistress, Arlette Elkaïm, who became his adopted daughter in 1965.) He opposed U.S. involvement in the Vietnam War and, along with Bertrand Russell and others, organized a tribunal intended to expose U.S. war crimes, which became known as the Russell Tribunal in 1967. In 1964 Sartre renounced literature in a witty and sardonic account of the first ten years of his life, Les Mots ( The Words ). The book is an ironic counterblast to Marcel Proust, whose reputation had unexpectedly eclipsed that of André Gide (who had provided the model of littérature engagée for Sartre's generation). Literature, Sartre concluded, functioned ultimately as a bourgeois substitute for real commitment in the world. In October 1964, Sartre was awarded the Nobel Prize in Literature but he declined it. He was the first Nobel laureate to voluntarily decline the prize,  and remains one of only two laureates to do so. According to Lars Gyllensten, in the book Minnen, bara minnen ("Memories, Only Memories") published in 2000, Sartre himself or someone close to him got in touch with the Swedish Academy in 1975 with a request for the prize money, but was refused. In 1945, he had refused the Légion d'honneur. 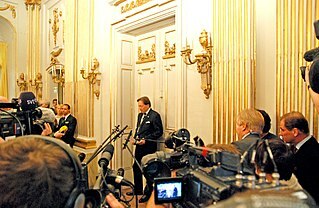 The Nobel prize was announced on 22 October 1964; on 14 October, Sartre had written a letter to the Nobel Institute, asking to be removed from the list of nominees, and warning that he would not accept the prize if awarded, but the letter went unread;  on 23 October, Le Figaro published a statement by Sartre explaining his refusal. He said he did not wish to be "transformed" by such an award, and did not want to take sides in an East vs. West cultural struggle by accepting an award from a prominent Western cultural institution. Nevertheless, he was that year's prizewinner. 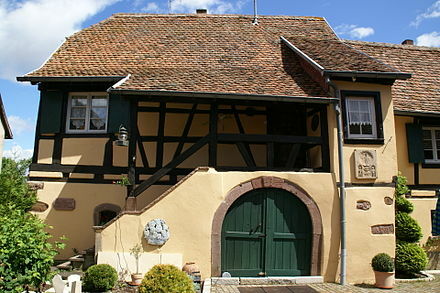 After being awarded the prize he tried to escape the media by hiding in the house of Simone's sister Hélène de Beauvoir in Goxwiller, Alsace. Sartre maintained that the concepts of authenticity and individuality have to be earned but not learned. We need to experience "death consciousness" so as to wake up ourselves as to what is really important; the authentic in our lives which is life experience, not knowledge. Death draws the final point when we as beings cease to live for ourselves and permanently become objects that exist only for the outside world. In this way death emphasizes the burden of our free, individual existence. This indifference of "things in themselves" (closely linked with the later notion of "being-in-itself" in his Being and Nothingness ) has the effect of highlighting all the more the freedom Roquentin has to perceive and act in the world; everywhere he looks, he finds situations imbued with meanings which bear the stamp of his existence. Hence the "nausea" referred to in the title of the book; all that he encounters in his everyday life is suffused with a pervasive, even horrible, taste—specifically, his freedom. The book takes the term from Friedrich Nietzsche's Thus Spoke Zarathustra , where it is used in the context of the often nauseating quality of existence. No matter how much Roquentin longs for something else or something different, he cannot get away from this harrowing evidence of his engagement with the world. 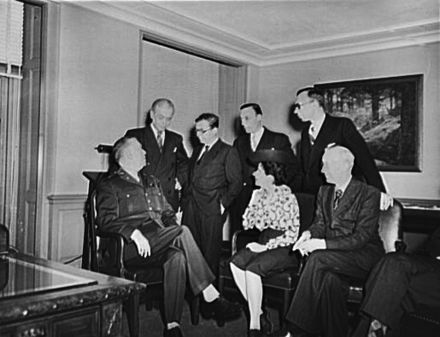 Sartre portrayed his own pre-war situation in the character Mathieu, chief protagonist in The Age of Reason , which was completed during Sartre's first year as a soldier in the Second World War. By forging Mathieu as an absolute rationalist, analyzing every situation, and functioning entirely on reason, he removed any strands of authentic content from his character and as a result, Mathieu could "recognize no allegiance except to [him]self",  though he realized that without "responsibility for my own existence, it would seem utterly absurd to go on existing". Mathieu's commitment was only to himself, never to the outside world. Mathieu was restrained from action each time because he had no reasons for acting. Sartre then, for these reasons, was not compelled to participate in the Spanish Civil War, and it took the invasion of his own country to motivate him into action and to provide a crystallization of these ideas. It was the war that gave him a purpose beyond himself, and the atrocities of the war can be seen as the turning point in his public stance. The symbolic initiation of this new phase in Sartre's work is packaged in the introduction he wrote for a new journal, Les Temps modernes , in October 1945. Here he aligned the journal, and thus himself, with the Left and called for writers to express their political commitment. Yet, this alignment was indefinite, directed more to the concept of the Left than a specific party of the Left. Sartre wrote successfully in a number of literary modes and made major contributions to literary criticism and literary biography. His plays are richly symbolic and serve as a means of conveying his philosophy. The best-known, Huis-clos ( No Exit ), contains the famous line "L'enfer, c'est les autres", usually translated as "Hell is other people." Aside from the impact of Nausea, Sartre's major work of fiction was The Roads to Freedom trilogy which charts the progression of how World War II affected Sartre's ideas. In this way, Roads to Freedom presents a less theoretical and more practical approach to existentialism. John Huston got Sartre to script his film Freud: The Secret Passion . However it was too long and Sartre withdrew his name from the film's credits. Nevertheless, many key elements from Sartre's script survive in the finished film. Despite their similarities as polemicists, novelists, adapters, and playwrights, Sartre's literary work has been counterposed, often pejoratively, to that of Camus in the popular imagination. In 1948 the Roman Catholic Church placed Sartre's oeuvre on the Index Librorum Prohibitorum (List of Prohibited Books). Existentialism Is a Humanism is a 1946 work by the philosopher Jean-Paul Sartre, based on a lecture by the same name he gave at Club Maintenant in Paris, on 29 October 1945. In early translations, Existentialism and Humanism was the title used in the United Kingdom; the work was originally published in the United States as Existentialism, and a later translation employs the original title. 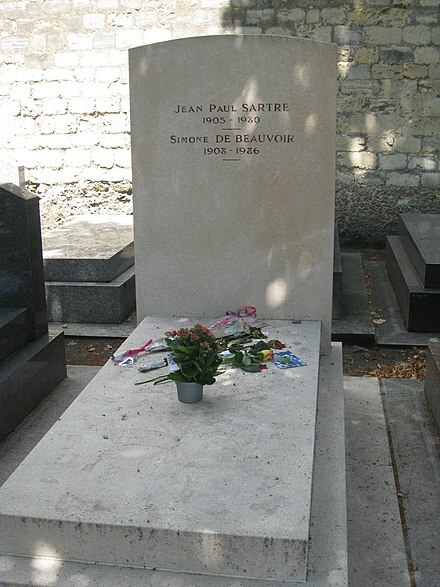 The work, once influential and a popular starting-point in discussions of Existentialist thought, has been widely criticized by philosophers, including Sartre himself, who later rejected some of the views he expressed in it. Raymond Claude Ferdinand Aron was a French philosopher, sociologist, political scientist, and journalist. The Roads to Freedom is a series of novels by Jean-Paul Sartre. 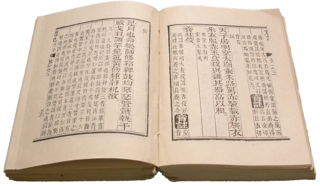 Intended as a tetralogy, it was left incomplete, with only three of the planned four volumes published. Existential humanism is humanism that validates the human subject as struggling for self-knowledge and self-responsibility. Nausea is a philosophical novel by the existentialist philosopher Jean-Paul Sartre, published in 1938. It is Sartre's first novel and, in his own opinion, one of his best works. Bad faith is a philosophical concept utilized by existentialist philosophers Simone de Beauvoir and Jean-Paul Sartre to describe the phenomenon in which human beings, under pressure from social forces, adopt false values and disown their innate freedom, hence acting inauthentically. It is closely related to the concepts of self-deception and ressentiment. In philosophy, facticity has a multiplicity of meanings from "factuality" and "contingency" to the intractable conditions of human existence. Bianca Lamblin was a French writer who was romantically involved with both Jean-Paul Sartre and his lifelong companion Simone de Beauvoir, for a number of years. Her book, Mémoires d'une Jeune Fille Dérangée, is an account of her long-lasting involvement with two of the most prominent French thinkers of the twentieth century. In correspondence between Sartre and Beauvoir, the pseudonym Louise Védrine was used when referring to Bianca in Lettres au Castor and in Lettres à Sartre. Lamblin later lamented of being abused by both Sartre and Beauvoir. 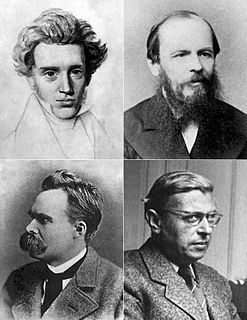 Some observers believe existentialism forms a philosophical ground for anarchism. Anarchist historian Peter Marshall claims, "there is a close link between the existentialists' stress on the individual, free choice, and moral responsibility and the main tenets of anarchism". Valentin Feldman was a French philosopher and Marxist of Jewish-Russian origin. In 1942, he was murdered by the Nazis during the Occupation of France. The Childhood of a Leader is a short story of a little over a hundred pages by Jean-Paul Sartre.It is the final story in Sartre’s collection that reflects a significant change from non-existence to existence through chronicling the life of Lucien Fleurier since he was a child until he became an anti-Semitic Camelot who believes that he can become a real leader.The work was published in 1939 with four other short stories in a collection entitled The Wall. ↑ "Sartre". Random House Webster's Unabridged Dictionary . ↑ Forrest E. Baird (22 July 1999). Twentieth Century Philosophy. Prentice Hall. p. 226. ISBN 978-0-13-021534-5 . Retrieved 4 December 2011. ↑ "Jean-Paul Sartre – philosopher, social advocate". Tameri.com. Retrieved 27 October 2011. ↑ Simone de Beauvoir, La Force de l'âge, Gallimard, 1960, p. 158. ↑ Yoann Malinge. "Does our past have a motivational effect? Our reasons for acting: Sartre's philosophy of action". Academia.edu . Retrieved 25 September 2017. ↑ Johnson, Paul, "The Heartless Lovers of Humankind", The Wall Street Journal , 5 January 1987. ↑ James, Clive (29 March 2007). "Jean-Paul Sartre" . Retrieved 16 August 2016– via Slate. Élisabeth Roudinesco, Philosophy in Turbulent Times: Canguilhem, Sartre, Foucault, Althusser, Deleuze, Derrida , Columbia University Press, New York, 2008.